I had the privelege of guiding Douglas and Stephanie Hackney during their Turkey Tour and ride with them in Syria & Jordan in 2004. We traveled 7025 km in 25 days and crossed 3 countries together. 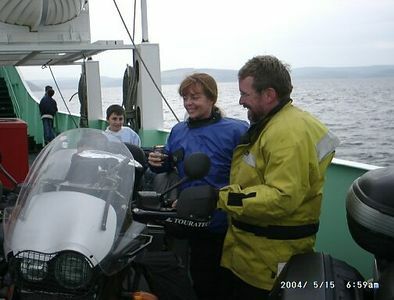 They are still, by far, the best fellow riders that I ever had, lifetime friends and a great travel companion.